Registration and Healthy Living Expo: 7:30 – 9:30 a.m. Healthy Living Expo: 10:45-12:30 p.m. Please join Jennifer Schelter and LBBC in 2015, for our 16th annual Reach & Raise at the Philadelphia Museum of Art. 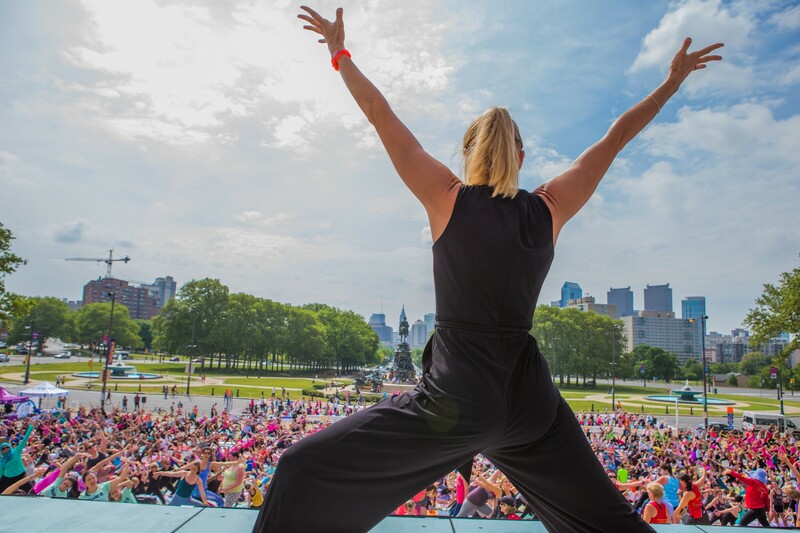 Reach & Raise is LBBC’s signature fundraising event and engages and connects over 2,000 participants at a large, outdoor yoga class suitable for all ages and all skill levels. Reach & Raise educates the community about healthy living and quality-of-life-issues while creating awareness and raising funds for LBBC’s education and support programs – which are always provided for little or no cost. For over 20 years, Living Beyond Breast Cancer (LBBC) has been providing educational resources and support services to women who have been diagnosed with breast cancer and their families.